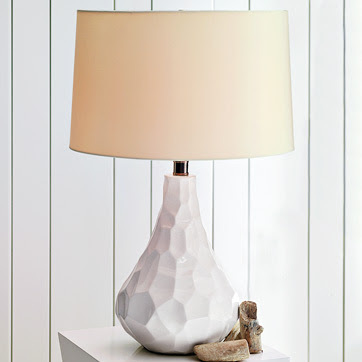 T-minus 4 days until I get my new lamps (that I almost didn't get) from West Elm! No, not because I wasn't sure if I wanted them, but because the hubster is a decorating diva knows what he wants. (Love you honey) He wants to absolutely be madly in love with everything we buy. Sounds smart, right? The problem is, we're on a budget. Thrilled at our conquest, I went directly to West Elm's site, put both lamps into my online cart, and proceeded to check out. Simple, right? Wrong. 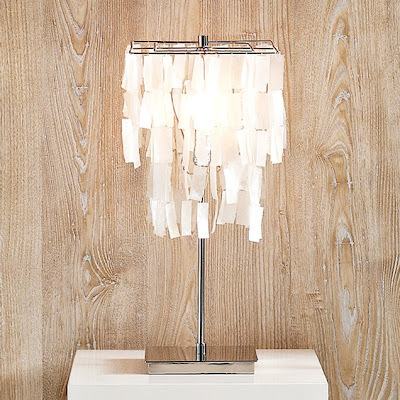 The 'curved cut' table lamp kept jumping out of my cart! I called West Elm, and they said it was no longer available. Just my luck. So how did I get the lamp, you ask? I may be fickle, but I am also stubborn, so throughout the day I tried over and over to buy this lamp, not expecting to have success. Around the 17th time (yes I have issues), both lamps stayed firmly in the cart! So I guess the moral is that sometimes being slightly insane persistent pays off.